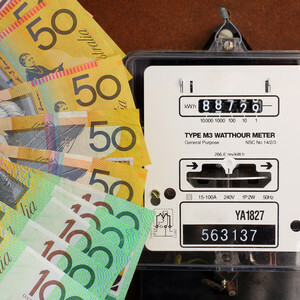 The Australian Energy Market Commission (AEMC) has today announced a new rule for electricity and gas retailers in most states and territories to notify customers at least five business days before any changes to their rates occur. Currently, Australian households and small businesses generally only see new price changes after they have received their next bill, which can be up to three months after their rates have increased. New five day notice requirement to come into effect from 1 February 2019. The changes will be part of the National Energy Customer Framework (NECF) which applies in the ACT, Tasmania, South Australia, New South Wales and Queensland. However, the new rule will not apply in Victoria as it has its own Energy Retail Code. Queensland has an existing state law that requires retailers to notify customers on market offers at least ten business days in advance of price changes, which will still apply. These changes will not apply to customers in Tasmania, regional Queensland or the ACT who are on regulated electricity prices which are set by governments or regulators. The AEMC and Australian Energy Regulator (AER) are jointly recommending the COAG Energy Council approves a civil penalty provision to protect customers if retailers do not deliver the notices in time. Failure to meet the new obligations would result in fines of up to $100,000 for each incident. The notice must be send via the customer's preferred form of communication and set out tariff information and applicable charges before and after their plan change. AEMC Chief Executive Officer, Anne Pearson, said the changes will help customers take control of their energy bills before price changes happen. 'Advance notice gives people more time to take action – like shopping around for a better deal, or accessing their usage data to work out how they can best manage the change in price,” said Mrs Pearson, 'Knowing a price change is coming soon can prompt customers to engage more confidently in the market, for example by contacting their retailer to secure the best offer available – or take their business elsewhere'. Make it Cheaper can help your small business compare electricity and gas retailers and switch to a cheaper deal to save you money. On average, we save over $1,100 for businesses in New South Wales, Victoria, South East Queensland, The Australian Capital Territory and South Australia.